For those of you who aren’t familiar with my work in the kitchen, that may be because there isn’t any (except, of course, those fortunate few who experienced my signature “Scallops with 3 cups of salt”). I’m not what some might call a natural cook. And yet here I am, cooking up a storm for all of my nearest and dearest. My thought process was that if I really impressed with my 3-course meal they would donate all the more, and if I really messed up at least we’d all get a laugh out of it and the hilarity would again bring out the generosity (or perhaps pity) in my beloved aunts and uncles and grandmother. With a couple of homemade-by-the-butcher pies in the freezer, what could go wrong? 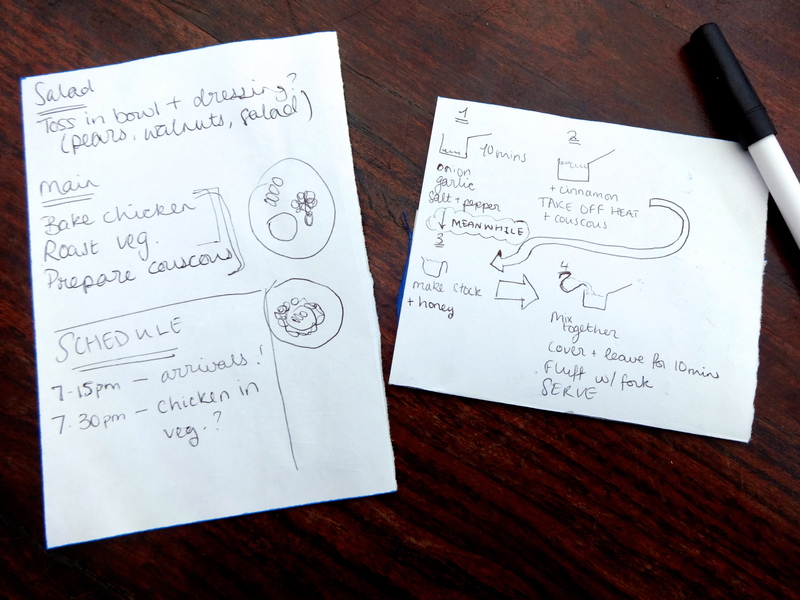 I started out, as any pro chef would, with a plan. 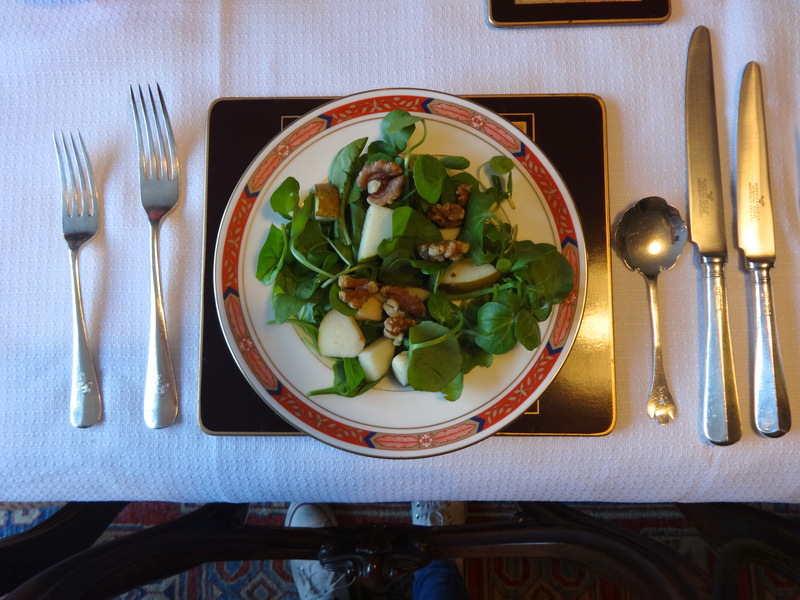 The first course, a highly attractive pear and walnut salad. Honestly, the practicality of a starter that can be thrown together in a matter of seconds did appeal to me, although I maintain that the taste and quality were of utmost importance. But wait, there’s more! 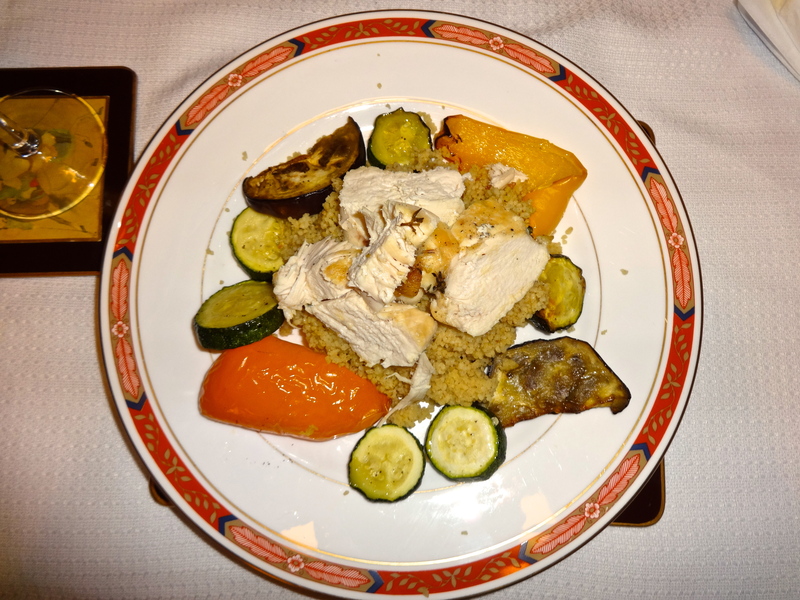 For my main course, I decided to go with an adventurous Hugh Fearnley-Whittingstall couscous recipe, with cinnamon and garlic and lots of other fun flavours, with baked chicken and roasted vegetables. 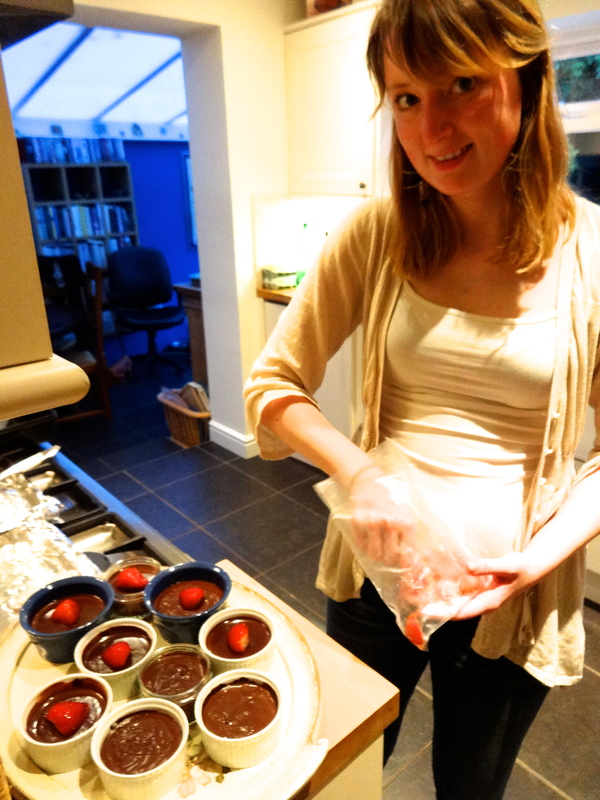 To finish off, homemade chocolate ganache with a strawberry garnish. 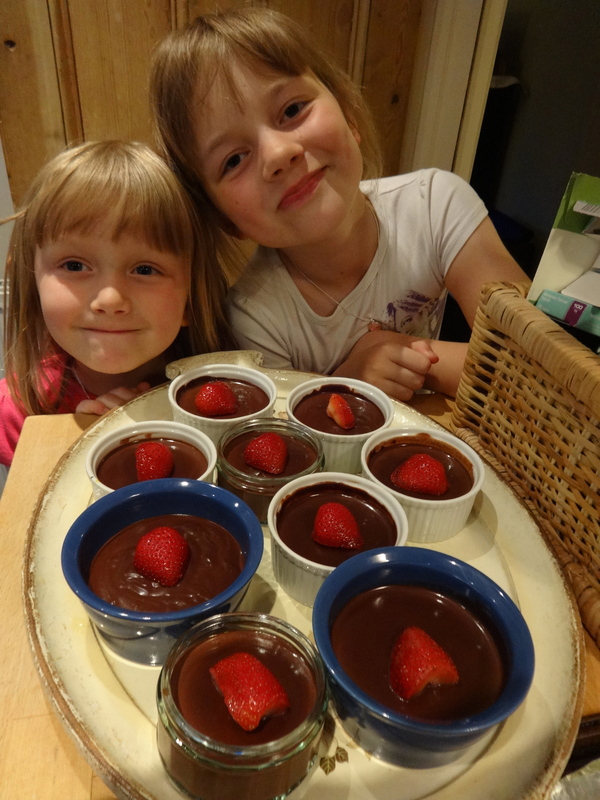 I’ll have to rely on the honesty of my guests and the little faces of these happy chappies to confirm or deny whether I managed to churn out a satisfactory meal. I’m still working on my fundraising, but thanks to everyone who has donated so far!